The Clinton’s have no bounds when it comes to pandering to black people. Whether its Hillary Clinton keeping hot sauce in her purse or the duo hitting black churches during “Black Pandering Season,” aka campaign time, these two have “making-black-Liberals-look-stupid” down to a science. The man who said to Ted Kennedy of Barack Obama, [pp] “There was a time when he would have been bringing us our coffee,” was lowered to serving black people. 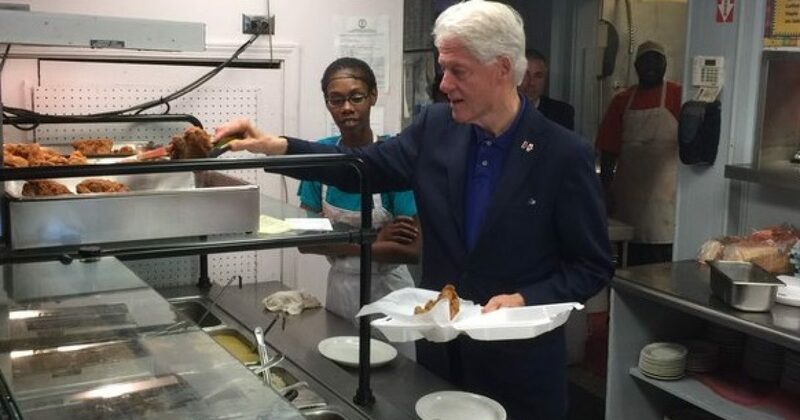 Oh what this man owes his wife to stoop low enough to get him to turn in him Klan card, when Bill Clinton decided to serve fried chicken to black folks in Louisville, KY during a campaign visit.